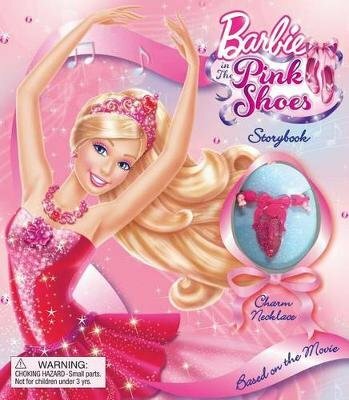 Based on the latest direct to video Barbie movie, this new board book retells the exciting story and comes with a charm necklace for girls to wear. Hailey (Barbie) and her friend Kristen are two ballet students at a special dance school. Their ballet instructor is always telling Hailey to keep to the routine and to stop changing the dance. But, Hailey loves to make the dance her own. One day, Hailey's dance shoe rips, so she and Kristen go downstairs to the seamstress/cobbler to get her shoes fixed. Madame Katarina gives her a pair of magic dance shoes, which transport the girls to a magical place where Hailey becomes the lead dancer in all the classic ballets. One of the girls is kidnapped by the evil Snow Queen. But with the help of her friend, and by staying true to herself, she dances her way toa bright future. After reading the book, girls can then play pretend with the pretty, collectable bracelet!